New babies are always exciting, but when the gender is a surprise, the anticipation is really amped up! This was the case as we waited for this little one to arrive. Mommy wanted the gender to be a surprise and this pregnancy was a bit of a roller coaster ride so we all waited on pins and needles! Finally the eve of baby's arrival came and I really wanted to deliver a fresh batch of cookies with baby's brothers on THE DAY. If this was to happen, I had to take a gamble and make a guess. So I stayed up late and decorated away.....with BLUE. 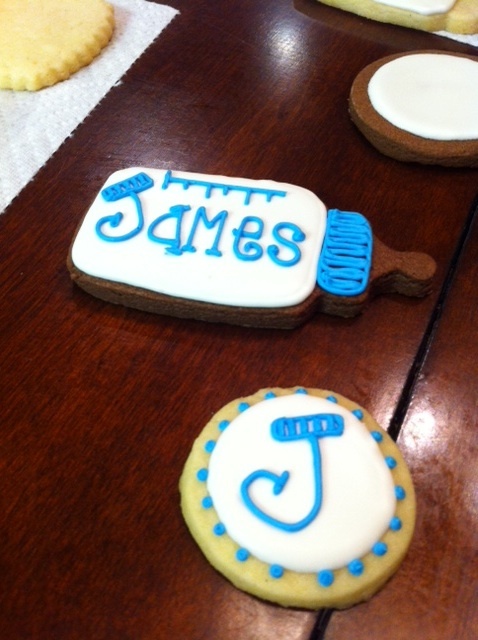 So the next morning, when Allie Ruth made her long awaited appearance, we tossed those blue cookies and started over. 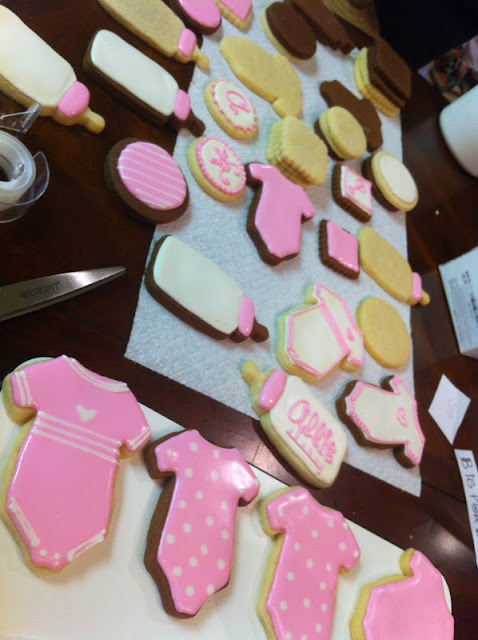 Pink was the color of the day and I loved decorating these cookies knowing they were for the newest addition to my family! The final product. I love the pinks and especially that cute font. I hope New Mom got the chance to enjoy a few by herself at the hospital and didn't have to share them all with her guests!